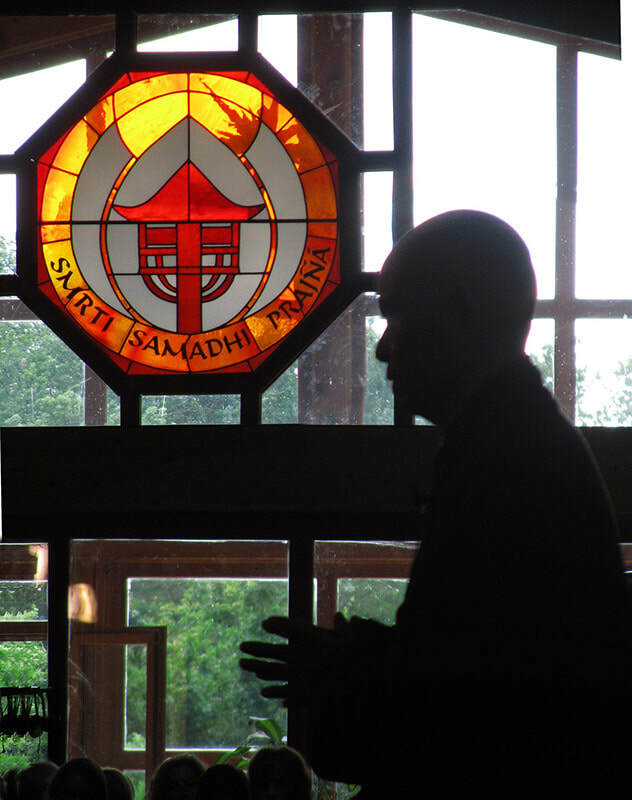 Welcome to the New England Plum website, a unified place to find retreats, Day of Mindfulness, and sanghas in the New England region, all held in the Plum Village tradition of Thich Nhat Hanh. It is a great joy to come together, to nourish the collective energy of peace and love, and to build the strength of our togetherness. We are each a cell in the sangha body and, as such, we grow and harmonize when we nourish and are nourished by each other. The energy of the sangha has the capacity to protect and transform us, to be a place of refuge. The New England Plum website is meant to be a one-stop "bulletin board" for sangha activities for the New England region - Connecticut, Maine, Massachusetts, New Hampshire, Rhode Island, and Vermont. Each of our communities are vibrant and energized, offering many wonderful gifts, yet often our extended togetherness is missed simply because we're not aware of events and gathering opportunities. New England Plum is here to remediate that so that our collective community can grow, connect, nourish one another, and be nourished, so that we may gather both old and new friends together in happiness and joy in as many ways as possible. If you are a Sangha leader, please submit your sangha building activities, events, and gatherings with the appropriate button below. They'll be posted on this website shortly thereafter. Also, please share this website often with members of your sangha, family, friends, and larger community so that it becomes a supportive element. Come back often. This website is sponsored by Peaceful Path Sangha.